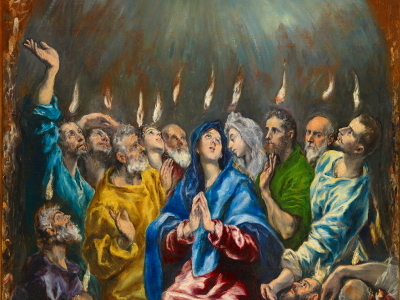 While the Lord’s actions at Pentecost were new, the day of Pentecost was an old observance. On the day following Passover, the Lord commanded a presentation of the firstfruits of the harvest (Leviticus 23:10-11). Such a presentation reinforced the recognition of God’s Providence, especially since it happened within the promised land. Seven weeks later, on the fiftieth day, the Feast of Weeks involved another presentation of new grain to the Lord along with a number of burnt animal offerings (Leviticus 23:15-21; see also Numbers 28:26-31). Not only was it a day of the firstfruits of the harvest, but Pentecost was also one of the days upon which the men of Israel were to gather together before the Lord (Exodus 34:22-23; 23:14-17). It was a time of rejoicing and a perpetual remembrance of the great deliverance from Egypt (Deuteronomy 16:10-12). It was entirely fitting, then, on this harvest festival that the great harvest of the nations would begin. Jesus Himself told His disciples to “lift up your eyes, and see that the fields are white for harvest” (John 4:35). 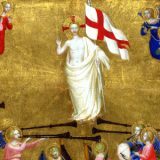 The firstfruits of the nations believed in the Lord on that day, and the great harvest continues until the coming of the end. It is also the beginning of an abundance unlike anything previously. The time of seeding and tending came in the days of the Law and of the prophets among the nation of Israel almost exclusively, but the fullness of the harvest goes out into all the world. Had not Jesus Himself promised that “whoever believes in me will also dot he works that I do; and greater works than these will he do, because I am going to the Father” (John 14:12)? The disciples, obeying the orders of Christ, waited in Jerusalem between the period of His ascension and Pentecost (Acts 1:4). Their mighty work about to begin there is not the work of men, as if their impressiveness would carry the Church out into the world. They were shaped by a period of obedience to the will of God, taught to wait on His will and not their own. The mighty baptism of the Holy Spirit manifested itself with visible signs: a mighty wind and flames of fire. These signs were not necessary for the Apostles, as if their wavering faith needed them. They were meant to console us, because in the foundation of His Church, the Lord confirmed the gift of the Holy Spirit with an extraordinary miracle. This is further shown by the unique character of this outpouring of the Spirit. 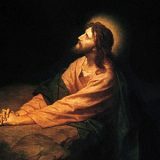 Jesus, after all, had promised that they would be baptized with the Spirit in Jerusalem (Acts 1:5), but this does not mean that it is a regular gift greater than baptism by water. After all, Peter himself would connect the giving of the Spirit with Baptism explicitly in His Pentecost sermon (Acts 2:38). Therefore, this baptism of the Spirit marks the beginning of the harvest, and these marvels were signs that the great day of the Lord had come. Thus filled with the Holy Spirit, they could not help but speak as the Spirit moved them. Eldad and Medad, filled with the Spirit, prophesied in the camp (Numbers 11:26-30). Saul also prophesied under the inspiration of the Spirit, to the wonder of those around him (1 Samuel 10:10-13). Yet in the Old Testament, this was a relatively rare experience, limited in number of people and times. Now in the beginning of the last days, what was formerly restricted came to be the possession of all people, as testified by the prophecy of Joel which Peter cites (Acts 2:17-21 from Joel 2:28-32). “And no longer shall each one teach his neighbor and each his brother, saying, ‘Know the LORD,’ for they shall all know me, from the least of them to the greatest, declares the LORD. For I will forgive their iniquity, and I will remember their sin no more” (Jeremiah 31:34). This explicit connection of knowledge to the last days clarifies that prophecy is not exclusively the act of preaching. Rather, like Agabus in Acts 11:28, the hidden things of God were coming to light. No longer would these things be heard in the dark (Luke 12:3). Regarding the tongues they spoke, it is first worth noting that they were intelligible without an interpreter, making them ordinary human languages rather than heavenly ones in need of explanation. “How is it that we hear, each of us in his own native language” (Acts 2:8)? Yet the presence of such a sign is not a proof of the Holy Spirit all by itself. Prophets had and could deceive others while calling on the name of God (Deuteronomy 18:22). Satan himself can work great signs (Revelation 13:13-14). Even Paul’s concern for interpreting tongues shows that a man could lovelessly exercise such a gift (1 Corinthians 14:26-33). Rather, the solid proof of the presence of the Holy Spirit consisted in Peter’s proclamation of Christ and the corresponding reception of that Word unto faith (Acts 2:41). Together with the Word, therefore, the languages of the Apostles were a tremendous confirmation of the work of God that day. Finally, the long list of the nations at Pentecost points in every direction. Parthia, Media, Elam, and Mesopotamia all lie east of Judea, and the Jews who dwelled there largely spoke Aramaic. Not only was this the first place to which Israel was scattered in the Exile (2 Kings 17), but by the time of the Persian Empire, they dwelled among virtually all the provinces without a great concern for returning back to the promised land (Esther 3:8, among others). Setting aside Judea, the areas of Cappadocia, Pontus, Asia, Phrygia, and Pamphylia fall largely to the north, likely speaking forms of Greek. It is also largely in this area that Paul would later do most of his work. Egypt and Lybia fall to the south. Notably, however, Rome is also part of this picture, coming from the west. It is a major indicator not only of the goal of the whole book of Acts, ending in Rome, but also of the mission of the Church. It would go out to the Gentiles, even if Peter does not yet fully grasp this as he will in Acts 10. Yet in this moment, the words of Christ find their fulfillment: “And people will come from east and west, and from north and south, and recline at table in the kingdom of God” (Luke 13:29).